India’s defence sector seems to be picking itself up from a slump if the third quarter’s results are any indication, with the Street’s apprehensions about the growth and margin pressure on defence firms now reversing. To be sure, the recent financial performance of defence public sector undertakings (PSUs) has been encouraging. 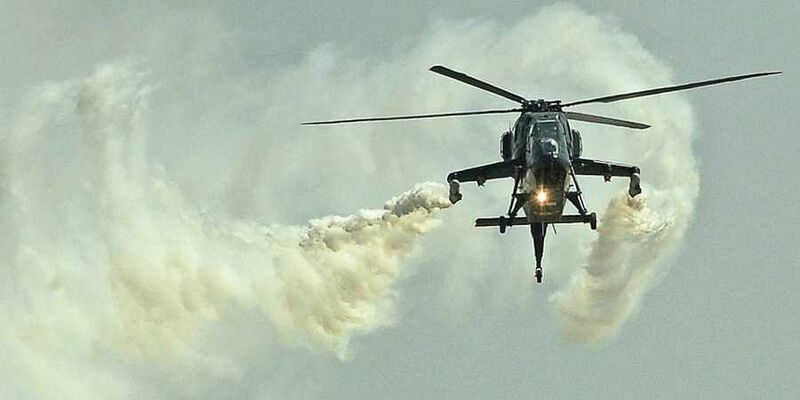 As against a mere two per cent year-on-year (YoY) growth in sales in the June quarter, financial results of eight PSUs in the defence sector show an aggregate 12 per cent spurt in sales in the third quarter. In the subsequent quarters too, analysts say, the trend looks favourable backed by a healthy order book providing revenue visibility and increasing emphasis on execution in the light of recent geopolitical uncertainty. With most companies expanding capacities in the recent past with the hope of increasing project sizes at home and opportunities overseas, the next few quarters are also expected to see higher earnings growth. Garden Reach Shipbuilders and Engineers (GRSE), one of the prominent PSUs in the sector, has reported a whopping 116 per cent sales growth during the third quarter due to approval of its finished inventory which allowed the company to book more revenue. The miniratna defence PSU is also set to launch its 99th and 100th warship in March and April this year, respectively. Similarly, other companies such as Cochin Shipyard delivered a 16 per cent growth in sales, followed by Bharat Dynamics (26 per cent). For Bharat Dynamics, recent capacity expansions, the increasing size of projects and investment in value-added products is helping it scale up faster. But, aerospace major Hindustan Aeronautics Limited (HAL) reported a de-growth in sales, largely due to the cascading effect of payment delays over the last few quarters, while Bharat Electronics Limited (BEL) reported a muted growth. BEL, however, has largely benefited because of the EVM machine project ahead of elections. Companies also seem set to capitalise on the government’s intent to increase domestic procurements in the defence sector. Currently, the order book position of HAL is full, while BEL’s current order backlog is `48,402 crore (5x FY18 sales), which experts say provides strong visibility for the next three years. The unexecuted order book reached an all-time high in FY19 after it bagged a `9,200 crore order for the supply of seven long-range surface-to-air missiles. “Although competition from the private sector is likely to intensify in the medium term, BEL’s established track record, high dependence on defence orders and its new JV and technology tie-ups are expected to augur well for the company’s future growth,” ICRA noted.